Lemonwood is an ideal base in which to explore the Natal Midlands. Being in the centre of the Midlands, there are all the craft attractions of the Midlands Meander on our doorstep. 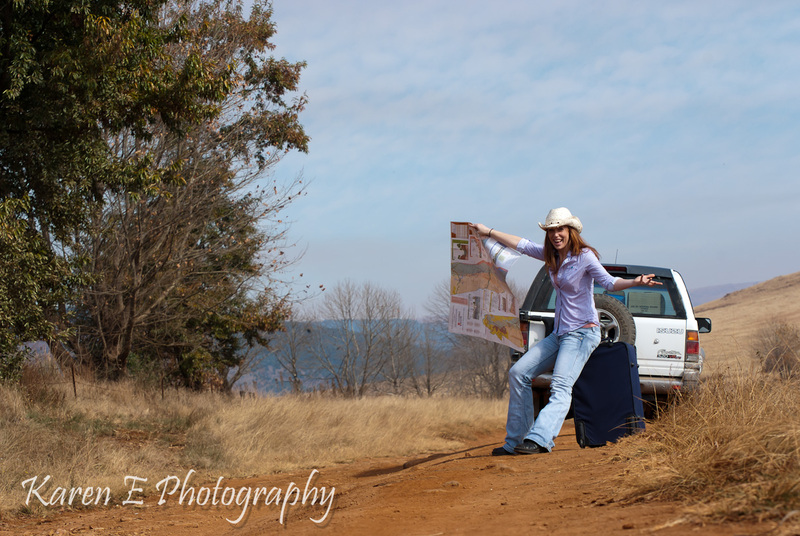 www.midlandsmeander.co.za Everything you need to know about the Midlands Meander! Fugitives’ Drift offers world-renowned battlefield tours, conducted by guides trained by the late David Rattray. Our guides specialise in all the battlefields of the Anglo-Zulu War and tours are conducted daily to the battlefields of Rorke’s Drift and Isandlwana. For further information, please contact Fugitives’ Drift on 034 271 8051, or via email: reservations@fugitivesdrift.com. La Popote. Enjoy a lazy breakfast or lunch under the trees or tuck into bowls of hot soup in front of a fire on chilly days. La Lampara – La Lampara Restaurant is housed in an old dairy. The food is modern Italian with a new menu weekly. A wood burning pizza oven supplies wonderful Pizza as well as many of the blackboard menu dishes. A strong warm Tuscan feel prevails. Sit on the herb fringed terrace or enjoy a meal around a log fire on a misty midlands evening – Top 100 restaurants & American express Top 10 Fine Dining Awards. Open Thursday – Saturday for Lunch & Dinner. Sunday – Lunch only – Functions by arrangement – Open all public holidays & regret NO dogs allowed. Gunthers – A Taste of Germany and Switzerland. High on a hill overlooking the beautiful Caversham Valley is a little piece of Switzerland and “Gunther’s hospitality”. Enjoy a light meal of German / Swiss sausages plus draught and wind. Vacuum packs also available for home grilling. Your hosts Carmen & Gunther look forward to welcoming you. The battlefield area is also accessible for day trips or more extensive overnight stays. The Bierfassl Restaurant and pub is an Austrian themed tavern , providing welcome respite for hungry and thirsty “meanderers”. Situated conveniently right in the heart of Nottingham Road. Sit on our shady veranda and lawns or inside the cosy panelled pub. Sample specialties from mouth watering Eisbeins, Austrian style sausages, warm soups, to local trout and pork products. Sip on an ice cold Nottingham Road draught, whilst the kids entertain themselves in our exciting play area. Open from 11am daily. Local sons and daughters, like their parents and grandparents before them, spend many a pleasant night in Notties pub, entering into the same old high spirits! Friday nights at Notties are legendary – there’s hardly weekend that goes past without some kind of fun going on there! Saturday Rugby fever sees the pub packed – with free breakfast rolls and the odd draught beer on the house to be enjoyed as people help their heroes win the game. Also day trips to the world famous Drakensberg are easily accomplished. If you are spending more than a couple of days on the area a picnic, walk or inspection of the cave art (or all three) is a must. Highmoor Nature Reserve nestles in the Ukhahlamba Drakensberg Park’s Central Region and is bordered by Kamberg and Lotheni to the South and Giants Castle to the North. Highmoor forms part of the Mkhomazi Wilderness Area and is approximately 15 000 hectares in extent and boasts a huge array of rare, endemic and endangered species. Visitors to Highmoor return again and again as there is an incredible sense of freedom emanating from the wide landscapes of mountains, grasslands and streams. Highmoor possesses seven tastefully concealed campsites which are reputed to be both the highest and quaintest campsites in KwaZulu-Natal. The communal ablution block is equiped with hot and cold showers and flush toilets. As you can imagine, Highmoor does get cold, very cold, so do come prepared. Highmoor also offers some of the countries’ most exciting fly fishing. To ensure the sustainability of SA’s wildest trout, we implement two control measures. There are two closed seasons, the 19th of December to the 28th of February and the 1st of July to the 31st of August. The open fishing seasons are from the 1st of March to the 30th of June and from the 1st of September to the 18th of December. Kamberg nature reserve nestles in the foothills of the Ukhahlamba Drakensberg Park , its central position ideal for visits to many other well known Berg areas from Lotheni to Giants Castle. Kamberg is a delightful spot in it’s own right with three attractive picnic sites near the river and trout dams which provide a relaxing alternative to the scenic attractions of the many well maintained walks in the area. These self guided trails from the camp, take visitors into the surrounding areas of the ‘Little Berg’ as well as along the Mooi River. Trout fishing can be enjoyed in the many dams which are open to anglers all year round and in the river during the fly fishing season. Please remember that you must purchase a rod ticket from the camp office before you start fishing. The cost is R50.00 per day to visitors that are staying in the camp and R60.00 to day visitors. A visit to Sue Tarr’s Summerhouse at Folly Hill will transport you into another world. Situated not far from Hilton Village on a small-holding, Sue has created a tranquil, country retreat in which you can escape. The Summerhouse used to be an old milking parlour and many Winterskloof residents used to walk to Folly Hill to fetch their milk. The old milking pens and feeding troughs provide a backdrop to the carefully arranged displays. Browse through a wonderful selection of gifts, decor items, selected kitchen and tableware as well as an array of silk flowers. Bring your container with you and have your silk flowers arranged. We are Lou Harvey stockists, carry a selection of Nguni skins from northern Natal and a range of Thokomala hand crocheted blankets, scarves and beanies, made by a rural KwaZulu-Natal community. The nursery specialises in old fashioned plants and perennials for the garden and has a wide selection of plants and roses suitable for a cold climate. The old calf pens are now a cosy rustic restaurant, La Popote. Enjoy a lazy breakfast or lunch under the trees or tuck into bowls of hot soup in front of a fire on chilly days. Granny Mouse Country House and Spa is in the magnificent Caversham Valley in Balgowan and surrounded by gardens overlooking conservancy areas on the Lion’s River. Award winning restaurants offer a range of menu items from relaxed Bistro though to Fine Dining in the Eaves restaurant. The refurbished property has retained its reputation for a relaxed gourmet experience, whilst introducing new menus and concepts to diners. Granny Mouse is the proud holder of a Diners Club Winelist “Diamond Award” for our 2011 and 2010 winelist. This follows on from the 2009 & 2008 Platinum Awards. The chefs are renowned for creating pairing menus which can be served in the intimate setting of the wine cellar or one of the restaurants. The evening is ended in the newly launched smoking lounge – Cigar – which is gaining a reputation for its single malts and range of Cigars. Weddings and Conferences are part of what we offer – catering to groups of people up to 120 whilst at all times maintaining service excellence and the little personal touches that create the memories. Our Chapel, with valley views, provides the perfect setting to tie the knot. The whole family is welcome at Yellowwood. From our lovely front lawn there is access to a variety of jungle gyms and fantasy play equipment, a small bike track for under 5’s and our delightful miniature animals. We are proud to be home to the only 2 miniature donkeys in Kwa-Zulu Natal, Jupiter and Anushka. The Karkloof Farmers’ Market is a fresh produce market offering high quality, choice, fresh produce from local farmers and producers in the KwaZulu-Natal Midlands.The Karkloof Farmers’ Market is a unique in-door Market with a wide variety of stalls offering everything from fresh fruit and vegetables to delicious home-baked treats and organic products.There is something for the whole family, hearty breakfasts, premium coffee, an indigenous nursery and activities for kids. – Meet the farmers that produce the goods on offer;- Enjoy a hearty breakfast from a variety of mouth-watering options; – Sip on a fresh fruit juice, yogi shake or milkshake; – Savour a premium, free-trade, coffee or cappuccino; – Kids activities include pony rides, a jungle gym and enormous sand pit; and Spend some time selecting indigenous plants in the nursery. The Karkloof Farmer’s Market offers you a wholesome, community, shopping experience – meet the locals and get a taste of the Midlands way of life. Pack a picnic basket from the variety of stalls offering quality local produce and then take in the rest of the Midlands Meander. Supporting local farmers, growers and producers is what this Market is all about. Learn about the products you are buying, how they are made, the ingredients that go into them and how best to enjoy them. Food is seasonal so while you may not always find what you are looking for, you will always find something different and you can be assured it will be fresh. The Karkloof Farmers’ Market is a vibrant meeting place. The experience is as much about purchasing fresh local produce as it is connecting with those in the community. Don’t miss out on a fun-filled morning. We are conveniently situated for the private schools in the area from Nottingham Road to Pietermaritzburg, especially for the events or open weekends at Michaelhouse, Hilton and St. Anne’s. Accommodation in the rest of South Africa with Stayinsa.co.za South Africa Accommodation Directory. www.sa-venues.com – For your accommodation requirements outside The Dargle Valley. Hi there. No problem at all. That would be great.